In this world of technological advancements, projectors manufacturers are complying with the latest technologies as well. While creating a boon in the field of projectors, the best-LED projectors are all set to give the multimedia industry a new thrust with respect to output, size of the projectors, lamp life, and weight. The longer lamp life ensures that the maintenance cost will be much lesser than other types of projectors available in the market. Apart from this, LED projectors are much lighter in weight then DLP and LCD projectors; hence, easy to carry for giving presentations at different locations. Whereas DLP and LCD projectors are good for some purposes, LED projectors are better in many ways. These LED projectors have long-lasting lamp life, which is a great difference between LED projectors and traditional DLP projectors. These projectors use a different light source, which is named as LCoS (a hybrid of DLP and LCD). 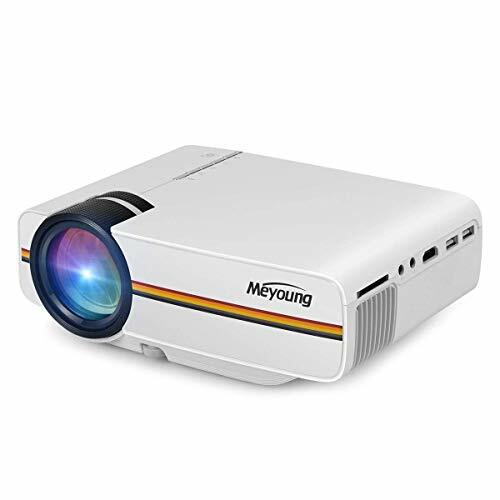 The best-LED projectors can be used for several purposes including watching movies, playing 3D games, and enjoying family photographs on a bigger screen in the home theatre. 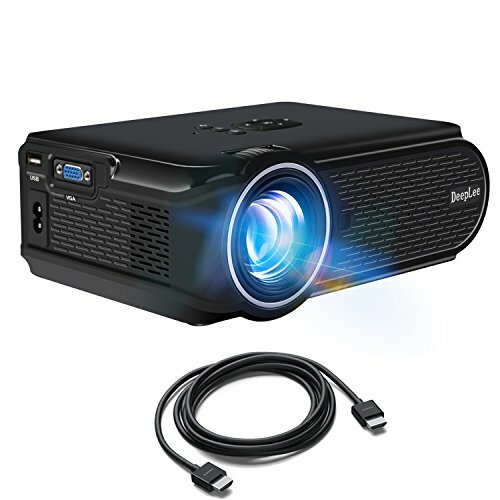 The best-LED projectors come with many features including full HD support, wireless connectivity, good contrast, and lumen while supporting multiple operating systems like Windows, MAC, etc. While everyone is busy saving energy, you could do that too and watch your favorite movie at the same time as well. Confused? We are talking about LED projectors which consume the least amount of energy compared to any other type without compromising on the picture quality. You have probably checked out their specs by now and planning to buy one. Here’s a little piece of information to help you with that. 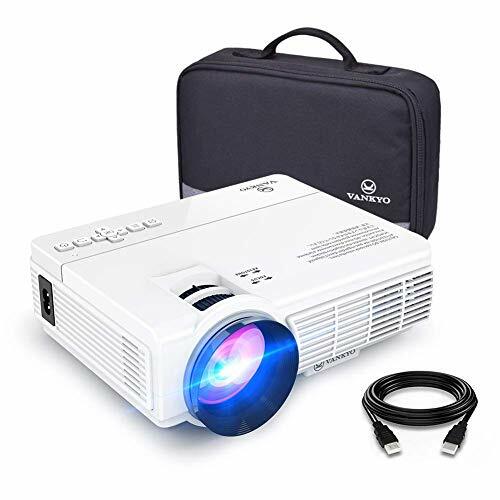 A good thing about these projectors that they are less expensive and hence, there are three projectors that we have, falling under the $100 mark. The Elephas LED Mini video projector with 1200 lumens and 1000:1 Contrast ratio projects an image that’s quite visible in dark environments. Not recommended if you are expecting to operate in well-lit spots. Native resolution offered by this projector is 800 x 480 and the maximum image size is 130”. To connect to various devices, use its USB, HDMI, SD Card slot, AV, VGA and 5V trigger out. With almost the same specs profile, the Xinda 1800 Lumens and Hausbell 1500 Lumens projectors offer a lot more than the one by Elephas. Comparably, the Hausbell has a better resolution of 800 x 600 compared to Xinda’s 800 x 480. However, upon making it 1080p, the difference is hardly noticeable. Contrast ratio of the Xinda 1800 lumens projector is 2200:1 compared to Hausbell 1500’s 600:1. Due to the light LED chassis, both of these are quite easy to carry and for connectivity, both the projectors have the usual HD connectivity features. In-built audio is satisfactory in both the cases and aren’t anything out of ordinary. Moving on to an even better option with obviously a greater price tag, the iRULU P4 offers MHL connectivity as well. Other than that, it has HDMI, USB, VGA, Card reader and Audio out. 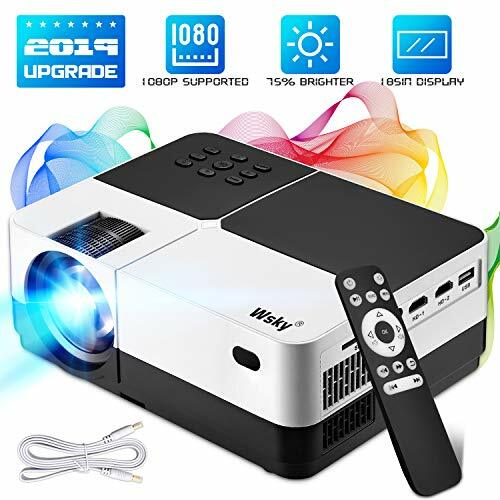 Picture quality as well is a pro about this projector as it features 800 x 480 resolution with 1080p support and a Contrast ratio of 1000:1 and a sufficient lumen count. 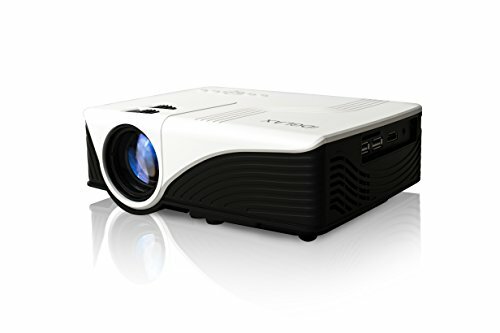 The only wireless projector here is Elegiant 3000 lumens projector which has a widescreen 1280 x 800 resolution, making it a preferred choice for movie buffs. Equipped with Android 4.4 based wireless connectivity, pairing your laptop, smart displays and many other devices is now affordably possible. The lumen count as well is comparatively huge i.e 3000ANSI and the Contrast ratio of 2000:1 as well breathes more color in the picture.